You know how you know something is happening, but you don’t really see it until you have photographic proof? This happens to me a lot with weight gain. I feel okay about putting on that extra ten pounds until someone catches a shot of me at the dinner table at Christmas and suddenly I’m thinking, “Whoa…wait a minute. What happened here?” as if I am shocked and hadn’t actually noticed that my pants haven’t been fitting lately. 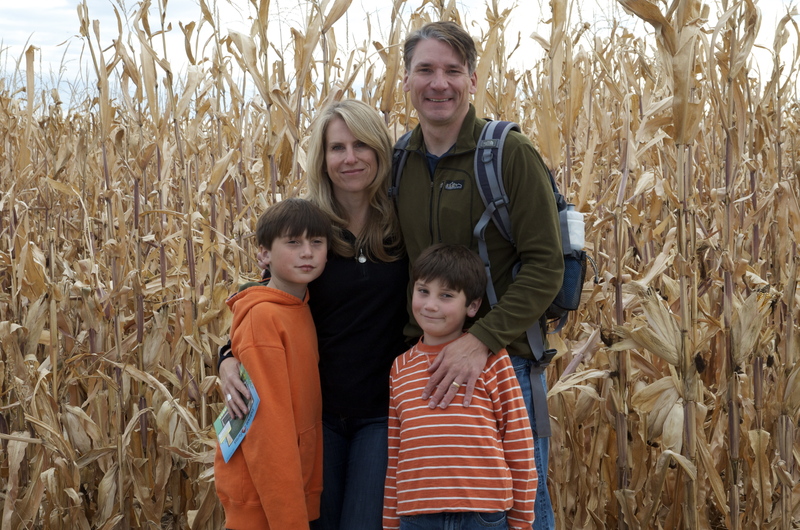 Well, today, my sister took a family photo for us at the corn maze we were at with our boys. As I was going over the photos again just a few minutes ago, I was shocked to find that my oldest son is now tall enough that the top of his head reaches my shoulders. I looked at the photo a few times to verify this. Then I called for a second opinion. “Steve…I think Joe has grown. He’s almost up to my shoulders,” I told him. “Yep. He sure is,” was all he said. I’m sure he was thinking I was a complete numbskull for not having noticed this before. “Well, yeah. I mean, I knew he was getting bigger but I guess I hadn’t realized how much bigger. Someday he might actually be taller than me,” I said. “Let’s hope so,” he replied. “Do you think he’ll get facial hair too,” I asked. “If he’s lucky, he’ll even get more of it than me,” he quipped. 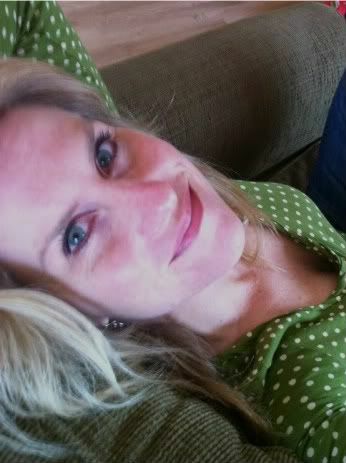 My darling husband looked at me as if I’m a loon which, let’s face it, I am. “Let me see the photo,” he said. Then he peered at my laptop. “Huh. I don’t think I’m that much taller than you either,” he continued, clearly thinking something was amiss with the photo. “You’re six inches taller than me,” I informed him. How can he not know this stuff? “Are you sure you’re not standing in a hole?” he asked. “What kind of crater-like hole I would I be standing in while in a flat corn maze? Maybe it wasn’t me at all? Maybe you were standing on a hill?” I shot back. “I’m just saying that maybe he’s not really quite as tall as he looks in the photo,” he continued while ignoring my snarky attitude. Joe’s in bed right now, and he’s actually sleeping and not just watching My Little Pony on his iPad. (Oops. Wasn’t supposed to mention that my 11 year old son is currently enjoying watching that show on Netflix because that tidbit might embarrass him. Oh, paybacks. How I love thee.) It would be counter-productive to wake him up and ask him to stand next to me so we could measure his height. At his last physical, though, he was measured at just over 54″ tall. I like to say I’m 65″ tall, but I fudge that number by at least half an inch, maybe more. All of this means that it’s completely possible that he is shoulder height to me. When did this happen? Just three years ago, he was teeny. It’s funny how sometimes it takes photographic evidence to convince us that time is marching on and our children are growing up despite our best wishes. We go from day to day in such a dizzying rush, trapped in the now of running here and there, and we truly can’t see the forest for the trees. My boys are growing up. And, although I know that as they inch higher and higher in grade school, it’s not the same as seeing them standing up to my shoulder in a photo. It’s not real until I try to pick up Joe and find it to be an incredible struggle now that he’s finally 70 pounds. I guess it’s easier to float along as a parent, just swimming in denial. Damn you, George Eastmann for pioneering celluloid film and the Brownie camera that led us down this slippery slope into a world where our images are continually being captured. It’s a lot more difficult to live in oblivion when you’re staring at the proof. You just reminded me that I haven’t taken pictures or used my cam corder is a while. It’s time again.